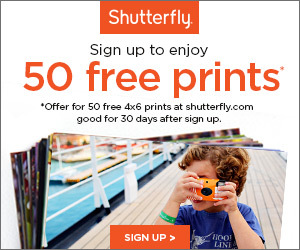 Shutterfly - Free 8x8 Photo Book or $29 Credit! This is one hot deal! Now through March 23rd Shutterfly is giving away 1 free 20-page 8x8 photo book to all customers with promo code 1FREEBOOK. In addition, if you're looking to add upgrades or size up, you'll receive a $29.99 store credit discount. New Customers receive a free pet tag now through March 31st when they use the code BESTFRIEND, you will have to pay shipping.